I love chicken breast and want to prepare it more often at home. But I find raw chicken a little intimidating, and I can never get it to taste as delicious as restaurant chicken! Any advice? Frozen chicken is a bargain, and stocking up is a great way to guarantee you always have the healthy meal staple on hand. 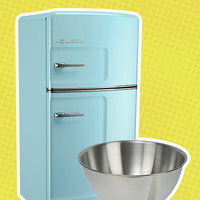 The smartest method for defrosting it is to let it naturally thaw in the refrigerator overnight. Crunched for time? Place the package in a large bowl of cold water. Change the water every half hour until the chicken has thawed. HG tip: If you plan to slice or dice your chicken before it's cooked, do this while it's still slightly frozen... You'll be able to cut through it more easily. Even thickness leads to even cooking. 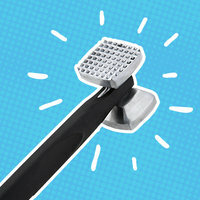 A basic meat mallet is a great kitchen tool. This highly rated Amazon find costs under ten bucks. But you can pound your protein even if you don't own a meat mallet. Just grab a can, and take out all your frustrations on that chicken breast. Not into attacking your dinner? Carefully slice your protein like a sandwich bun, giving you thinner, more even portions. Or purchase chicken breast cutlets, which are generally nice and even! No one enjoys bland chicken. Always season your protein with a little salt and pepper. Other classic spices? Garlic powder and onion powder. Taco seasoning mix and similar blends are great shortcuts to flavor-ville! 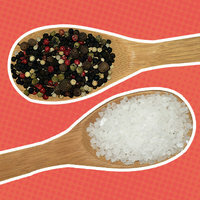 And if you're watching your sodium, try the seasoning blends by Mrs. Dash. Cooking your food in a packet of foil cuts down on mess and allows for even cooking. It also results in super-tender chicken, perfect for shredding. Just place the chicken cutlet between two pieces of heavy-duty foil sprayed with nonstick spray, and fold the edges to seal. Bake at 375 degrees for 25 minutes, or until cooked through. Set it and forget it! 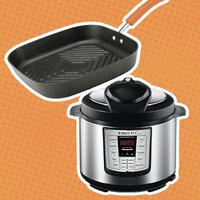 If you want to whip up a big pot of protein, consider using a slow cooker or Instant Pot. Just be sure to add some liquid, like chicken broth, to avoid scorching your meat. In a slow cooker, you'll want to cook your chicken for 3 - 4 hours on high or 7 - 8 hours on low. And here's a recipe for Instant Pot Garlic ‘n Herb Shredded Chicken! HG Tip: Use a meat thermometer like this one to check the internal temperature of your chicken. 165 degrees = cooked through. 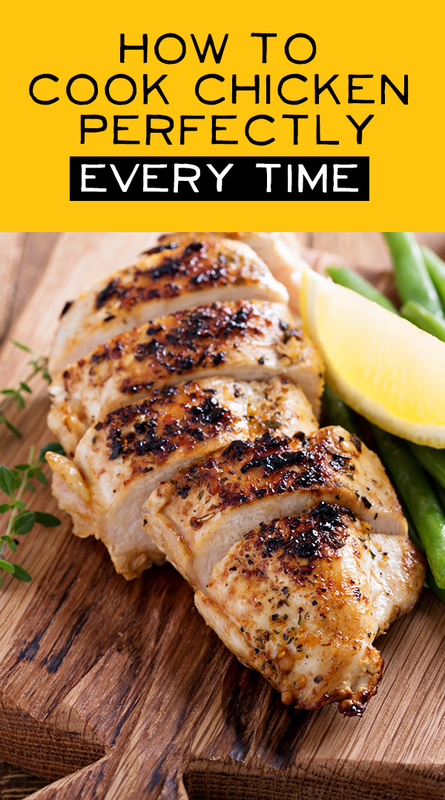 One more thing: Check out this fantastic guide on food safety for preparing poultry at home. Don’t hog all the meat cooking tips… Click “Send to a Friend” now!